Born in 1916, Wan Li joined the Communist revolution in 1930s. He rose to the level in central leadership during the ensuring civil war and the Communist taking power. During the Cultural Revolution of 1960s, however, Wan Li's political fortune went into a roller-coaster ride, along with that of Deng Xiaoping. He and was sacked twice. In 1977, he came back yet again and became the Party Chief in the inland Anhui province. It was there when Wan Li gained his most fame by supporting a grassroots reform movement which implemented de-facto privatization of lands in the countryside. The official media soon linked him with the similar reforms by Zhao Ziyang in Sichuan province with a catchy but manufactured phrase "For Want of Rice, Seek Wan Li; For Want of Food, seek Ziyang. (要吃米，找万里；要吃粮，找紫阳)" The propaganda effort not only established the position of reformist pioneers for the two, but also created an impression that they were personally close. But Wan Li was not necessarily as open minded as perceived. In 1986, when Professor Fang Lizhi was conducting his speaking tour in college campuses advocating democracy, then Vice Premier Wan Li was alarmed enough to follow Fang Lizhi around the country and collect the latter's "improper words." Wan Li eventually challenged Fang Lizhi in a conference for a debate. Fang Lizhi called his bluff and two engaged in an amusing dialog in front of hundreds of party cadres. Wan Li insisted that democracy in China must be provided by the Communist Party. Fang Lizhi countered with his claim that democracy could not be bestowed by any authority. 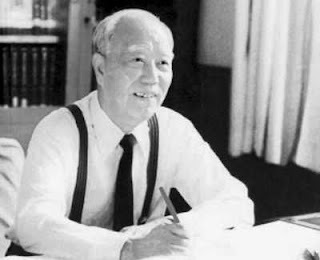 When the 1989 student protests broke out, Wan Li was already the Chairman of the National People's Congress. He voiced little, if any, of his own opinions. On May 10, he chaired a Congress committee meeting which decided to hold a formal Standing Committee meeting on June 20, whose agenda included discussing the ongoing demonstrations. Two days after that, he left the country for a pre-arranged 21-day state visit to North America. The students launched hunger strike the day after his departure. After the martial law, NPC Standing Committee member Hu Jiwei hoped to use NPC, which theoretically holds the supreme power in China, as an arbitrator for the split government leadership. They collected signatures among Standing committee members calling for Wan Li's immediate return and emergency meetings to discuss the martial law. When the Capital Joint Conference debated on whether to withdraw from Tiananmen Square, the possibility of this early emergency meeting or the scheduled June 20 meeting became a key factor in timing. Wan Li did return early on May 23 but he did not reach Beijing, to the dismay of many students who went to Beijing airport attempting to greet him. Instead, his plane landed in Shanghai and he stayed there. After four long days, Wan Li finally broke his silence and published a written statement supporting the martial law. He never appeared in public until after the massacre, when he accompanied Deng Xiaoping to review martial law troop officials on June 9. After 1989, Wan Li continued to hold the post of NPC Chairman until he retired in 1993. He kept an extremely low profile and essentially disappeared from the public scene. Wan Li died on July 15, 2015. He was 99.